Since I knew that we were having a Minecraft party this year for my son’s 8th birthday, I figured I’d switch out our Coffee Filter Chandelier (yup, that’s right, Coffee Filter Chandelier, you can see it and the tutorial here) … to something more festive and fitting for the party. It was super simple since the lighting fixture was already there. 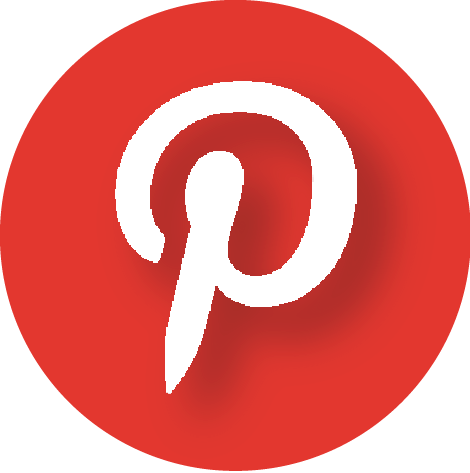 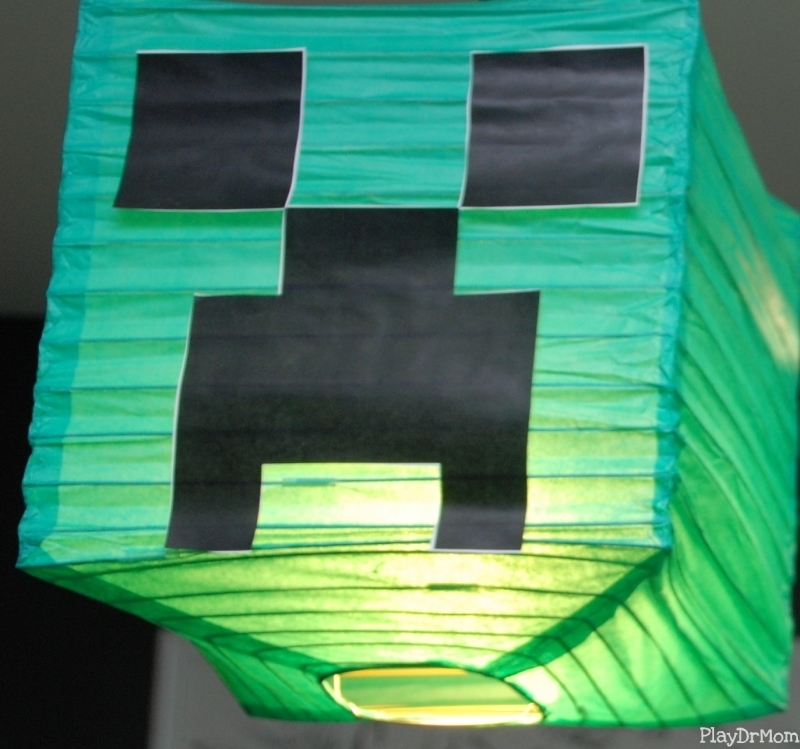 I used square paper lanterns from Oriental Trading Company and this Creeper template that I simply printed, cut out, and glued onto the lantern. The lanterns were very poor quality … some of them were actually already torn when I opened the shipping box. But for the purposes of the party, it didn’t really matter. They still turned out super cool! 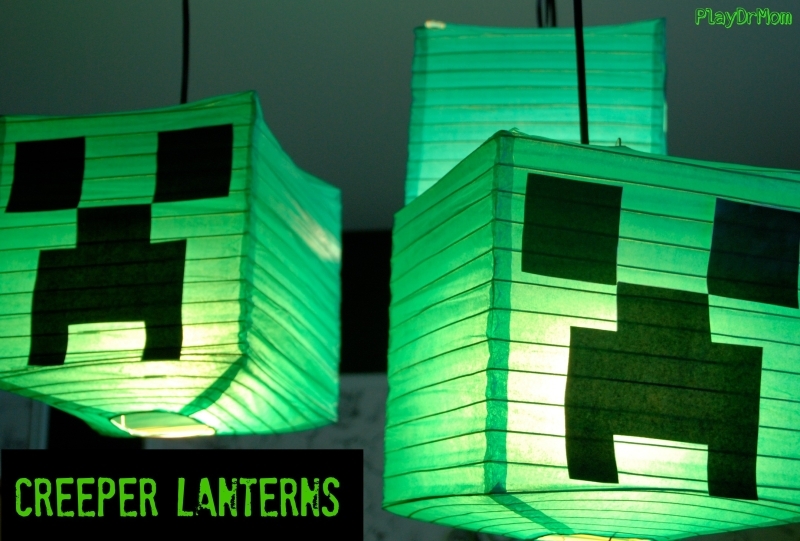 Although I made them for the party, the Creeper lanterns would be great for Minecraft fans anytime!